Terrace in front of the main facade of the dammuso. It is the heart of the house in the summer months. 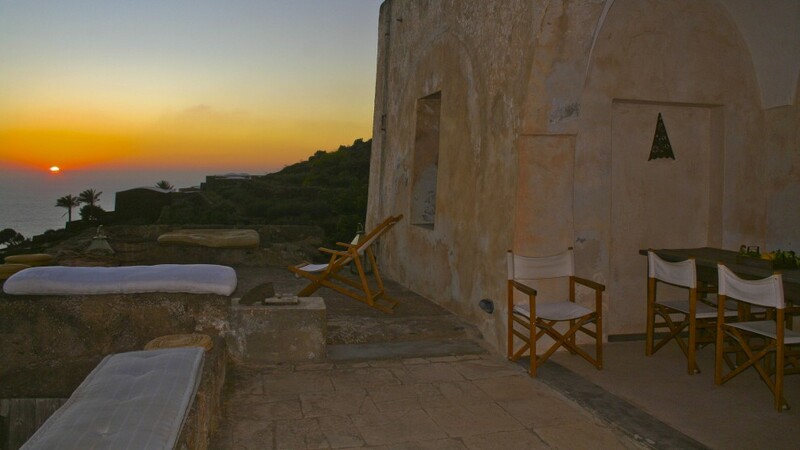 The term refers to a space of passage, “passiare” in dialect means to walk, to go to the house… but with the natural beauty of Pantelleria and views that gives us it’s too easy to use it for the most convivial moments, sunbathing or to enjoy the super sunsets of Pantelleria!